From a lack of diversity to the political landscape, business people in the thick of it convey their worries. What’s keeping today’s business leaders up late at night? A lot. Blame it on the upheaval of 2016’s presidential election, the debt crisis in Europe, falling oil prices, or what to make of China’s slowdown. Modern business leaders know that any concern in the world can quickly become an immediate threat in their own corner of the world, as we’ve become more interconnected and dependent on one another. A global CEO survey by PricewaterhouseCoopers published earlier this year found that two-thirds of executives see more threats facing businesses today than they did in 2013. For instance, Brown points to President Obama’s clemency program that is meant to commute the sentences of prisoners who received harsh time during the height of the nation’s war on drugs. The idea is to get these people back in society, yet society isn’t willing to give them the opportunity to work, she says. While some of the formerly incarcerated are fortunate enough to get jobs in the nonprofit sector or government, or they become motivational speakers, says Brown, many are still left jobless. She says large corporations need to “effectively stand up” and invest in their success. “This is part of what it means to take all of the genius and all of the talent of all the different people who are available in society, and nurturing that in a way that we can continue to grow the economy,” she says. When the world moves fast, everyone is concerned with only the here and now. As a result, Krawcheck (who is also a Fast Company contributor) is worried about the “short-termism” in business. 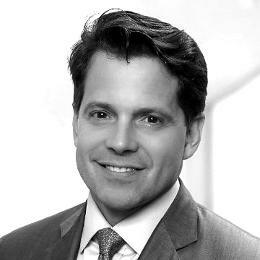 In times of peace, the rise in nationalism and militarism ends up hindering economic integration, says Scaramucci. “As the world loses its living memory of global conflict . . . the last [world] war is now 71 years out . . . as those people die off, you get a systemic rise in nationalism,” Scaramucci says. “The irony behind the peace is that you get a rise of militarism, you get a rise of nationalism as people lose their living memory of war, and this rise of militarism is something I’m concerned [about],” he says. “My biggest concern, as both a black founder and activist, is the exclusion of people of color from access to capital. We see this happening in tech and other billion-dollar spaces, such as the growing cannabis industry where people of color are both criminalized and excluded from market participation,” says Ziegler. Blavity is the media startup aimed at building communities through conversations started by diverse content creators often not represented in mainstream media. As its founder, DeBaun thinks a lot about the current presidential campaign and how partisan we’ve become as a nation. As “measurable” results and data become more accessible, Fine is worried that businesses are too often losing sight of the human experiences that can’t be quantified. Fonstad thinks we still have a long way to go when it comes to hiring, developing, and retaining talent. “As investors, we’ve seen a growing number of startups addressing ‘this future of work,’ says Fonstad. “Companies like The Muse provide services to help young workers manage their own careers and coaching to guide them through the process. Companies like Fluid and other emerging companies in the financial-services category ensure that contract workers don’t have to wait 90 days to be paid, for a small fee ‘factoring’ their wages,” she explains. “And for large companies, retaining employees with additional services has become a higher priority–from Facebook offering fertility services to Fortune 500 companies offering wellness programs like Grokker to keep productivity and engagement at work high,” she continues. And how companies meet the next generation’s expectations for careers and training will “define their success in building a successful workforce for the future,” she says.